This is an all-time favorite though it takes a little bit more effort than typical cannabis edibles. This is a very impressive recipe that is above and beyond simple weed fire crackers or cannabis cookies. This recipe is much classier. Not only does it taste incredible but it also looks amazing. If you really want to impress a group of friends or even bring a dessert to a cannabis dinner party, this is the one to go for. Remember to leave all ingredients out for 40 minutes beforehand if you really want to perfect this dish. Preheat the oven to 350 Degrees. Grease the 10 x 3-inch Bundt pan and put flour over it to prevent the cake from sticking to it when finished. While the oven is preheating, mix together the baking soda, salt, flour, and baking powder in a bowl. In a different bowl, beat the butter for 40 seconds using the electric mixer, add the lavender flowers and the sugar while mixing. Keep the mixer on medium and add the eggs in. Lower the power of the mixer and add in 1 cup of flower, constantly beating, then add 1/2 cup of buttermilk, beating again to make sure that everything is mixing together well. Add in another cup of flour, beating, and then add in the last of the buttermilk, continuously beating. Then add in the remaining flour, pouring it slowly. Continue to beat until the mixture is mixed together well. Stir in the lemon juice as well as the lemon zest. Take the mixture and put it in the Bundt pan. Make sure the batter is evenly distributed. Put it into the oven and let it bake for an hour. A good way to see if the cake is done is to pick the center with a toothpick. If the toothpick comes out clean the cake is done. Remove the cake and let it sit for 40 minutes. 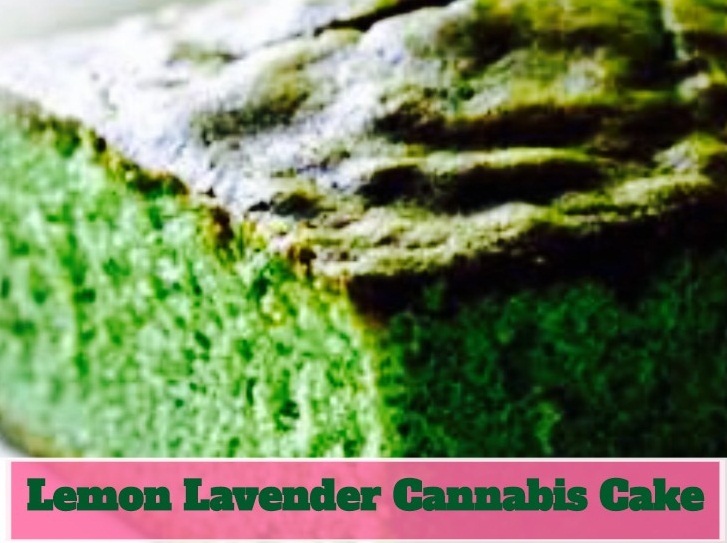 Congratulations, you have mastered a difficult cannabis recipe which your friends will be jealous of. Enjoy!! !